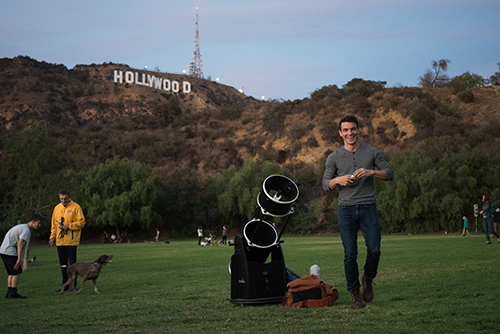 Wylie Overstreet was hanging out in his L.A. apartment one night and, out of boredom, decided to take his high-powered telescope out to the street to peer at the moon. Soon,people began wandering up and asking what he was up to. This film shows what happens when they peer through the lens. The Insperity Observatory became fully operational in June of 2009. Through the support of many donors, this state of the art facility is now available to students and families in our area. However, funds are still needed to equip this observatory with teaching materials and equipment. If you would like to support the exciting efforts of the Observatory, designate your gift today!